*SEASONAL ONLY* Current Availability December 2019 through February 2020. 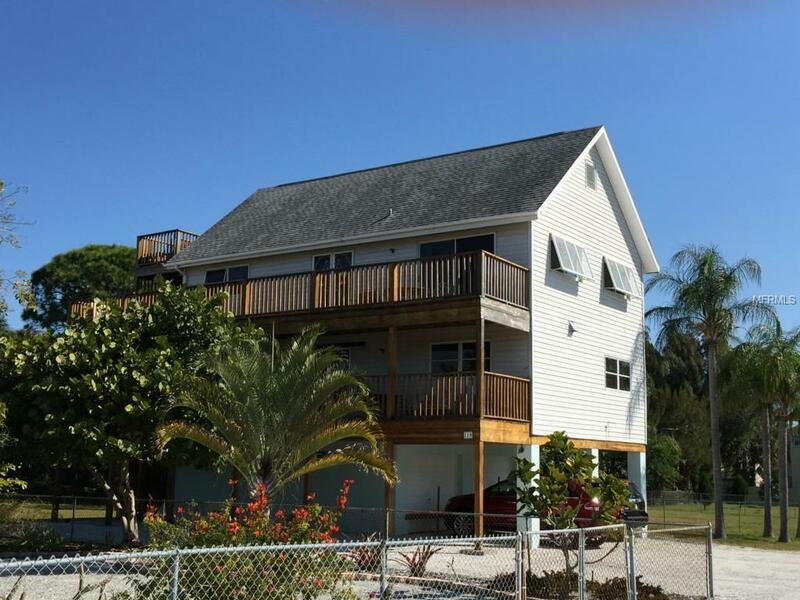 This tri-level duplex is just a short walk to Nokomis public beach, Casey Key, public boat ramp, inter-coastal waterway, 2 restaurants and more! Walk just across the bridge to Nokomis public beach pavilion with free beach access, or across the street to the marina and rent a boat or jet ski for the day, or even spend some time at two of the local favorite watering holes with great food and entertainment. A general store, ice cream shop, surf shop and sports rental store are all nearby. Dont forget to visit the famous drum circle on Nokomis Beach every Wednesday & Saturday nights. Unit 2 is located on the top level and features a private deck where beautiful sunsets are the main attraction. The master bedroom features a Queen size bed. The guest bedroom offers two twin beds and an en suite bathroom. Amenities include cable TV and in-unit laundry facilities. Each unit is provided one covered parking space and access to the widows walk. Listing provided courtesy of Florida Sun & Sand Realty.